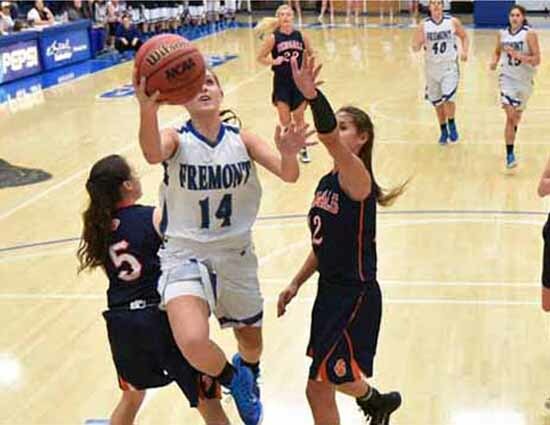 The race for the Week 20 winner in voting for the Preps Utah player of the week was a highly competitive one, just like the battle for state titles in which the five girls basketball players who were candidates this week participated. In the end, Fremont’s Harley Hansen received strong support over the final weekend, pulling away to win the award for the week of March2, 2015. With nearly 1,500 total votes cast at PrepsUtah.com, Hansen finished with slightly more than 40 percent as she claimed the weekly award. A pair of Lindsey’s were in the hunt all the way to the end, as Brighton’s Lindsey Johnson finished second at 24 percent and Sky View’s Lindsey Jensen captured nearly 21 percent of the vote. Olivia Elliss from Skyline and Darri Frandsen of Panguitch evenly split the remaining 15 percent of the tally. 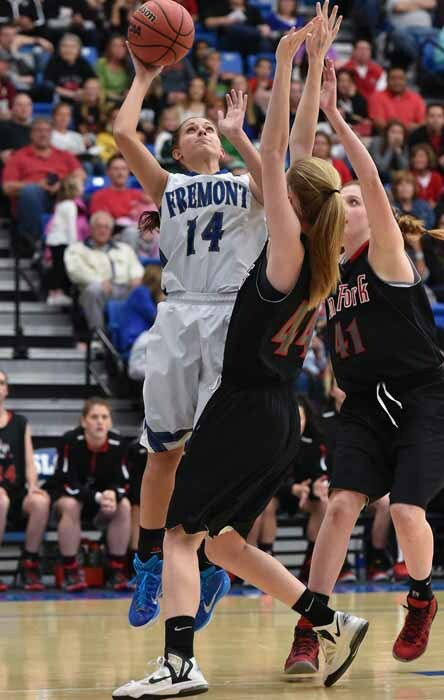 Hansen played a key role in the 2014 state championship run for the Silver Wolves and she had a starring role as Fremont earned its way back to the state title game this season. The junior averaged 15 points per game during the state tournament and was a main contributor on the boards and at the defensive end as the Silver Wolves narrowly pulled out a back-to-back nail biters in the quarterfinal and semifinal rounds. Each week, we select five new candidates for consideration by the followers of prep sports in the state of Utah as the Preps Utah athlete of the week. Readers vote online on our website at PrepsUtah.com and the winner is announced on Monday, when five new nominees are announced. At the end of the school year, we will draw at random one of our female and one male weekly winner, and the two athletes whose names are selected will receive a $1,000 scholarship. Over the past two years, we have awarded $4,000 in scholarships to Utah high school student-athletes. Five of the state’s top boys basketball players, all of whom led their teams to state tournament titles, are up for consideration this week, seeking readers’ votes as the Preps Utah player of the week. The candidates are Manti’s Connor Bolles, Matt Cragun of Layton, Rich’s Wyatt Muirbrook, Jeff Pollard from Bountiful and Kody Wilstead of Pine View. Vote now by scrolling down the right-hand side of the Preps Utah website to the poll at www.prepsutah.com. Voting ends at 9 a.m. Monday.